A bit of Christmas sparkle! It's been a while hasn't it? 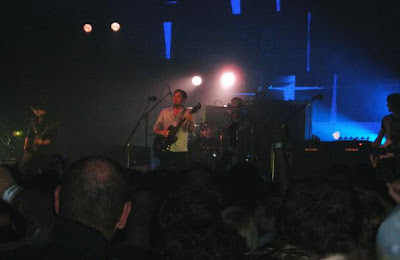 Mark and me went to see The Kings of Leon last Friday and they were excellent, easily the best band that I've seen anyhow! I'm still very busy with the commissions and I've managed to get a few done this week. Here's my 'Aqua Dream Pool' which I was asked to make as a leaving gift for somebody. I was also very lucky to win some of Laura Sparlings beautiful Zebra beads last week from her bead naming competition on her blog. I couldn't resist getting some earrings made from them straight away and I'm sat wearing them as I type. Thank you Laura! I love them! Glad that you and Mark enjoyed The Kings of Leon. 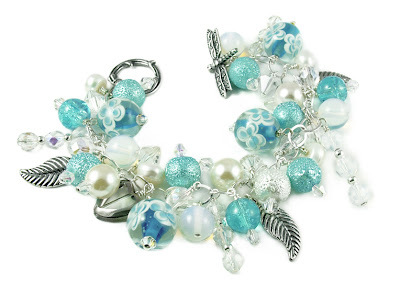 Love the bracelet - such lovely shades of aqua. 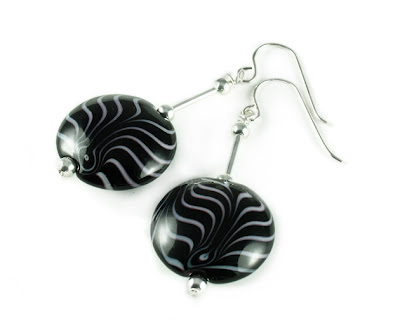 And I love the earrings that you made with the Zebra lentils - very cool!